New students in Year 7 will receive a free uniform consisting of: blazer, tie, trousers or skirt, two white shirts, PE kit: polo shirt, rugby shirt, shorts and socks. Where parents purchase ‘spares’ or additional items in the future these must be the official branded versions available online from Trutex. Outwood Academy Freeston has one online official supplier of uniform – Trutex. 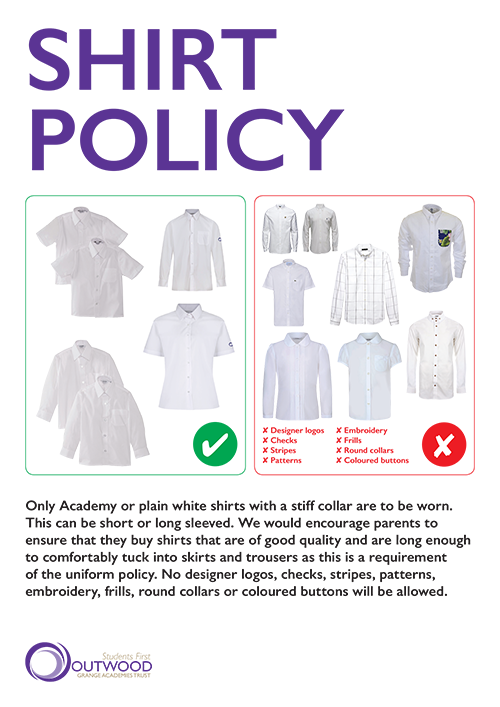 All students must wear the correct Outwood Uniform. Spare shirts, trousers, skirts etc can be ordered online. There are no other store who are able to sell our uniform, these are supplied by Trutex and provide the correct standard uniform as approves by OGAT. OGAT or Trutex do not have control of the prices in these stores.